Are Remakes Ever A Good Idea? Hollywood loves a remake. Seemingly more than ever at the moment. Yeah, they’ll call it a reboot or a re-imagining, but we’re wise to their ways. A lightly whipped arrangement of crushed potatoes with butter, and tubes of pork drizzled in a beefy ‘jus’ is still bangers and mash, after all. But has a remake ever been better than the original? Not the most obvious remake on the list, but probably the most significant in terms of cinematic history. 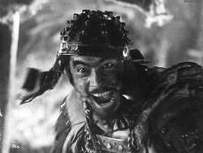 The Japanese masterpiece Seven Samurai, directed by the great Akira Kurosawa, was adapted for an American audience by turning it into a Western. Samurai swords became Smith and Wessons, and bandanas became Stetsons, in a film that was to become a classic in its own right. Sergio Leone did it again a few years later, nicking Kurosawa’s Yojimbo and not even giving him the credit! A remake with Nicolas Cage in the starring role should always be approached with caution. You have to love him for some of his better roles, but they are few and very far between these days. And to remake a cult classic like The Wicker Man, you have to have something really good up your sleeve. Well, Neil LaBute, director of the 2006 atrocity didn’t. The harrowing final scene of the original, in which Edward Woodward is burnt alive in a giant wicker man, is reduced to someone putting a helmet of terrible CGI bees on Nicolas Cage’s head. John Carpenter’s 1976 action/horror is a beautifully desolate examination of the human will to survive, and was politically significant in its day because the protagonist was a black police officer protecting a white convict. The remake goes for more of the all-out action, and was by no means a disaster, but certainly doesn’t carry the same menace as the first. Samurai swords became Smith and Wessons, and bandanas became Stetsons. The Colin Farrell remake of Total Recall is due out in cinemas at the end of August this year. The trailer makes two things glaringly obvious: they’ve crammed it with more CGI than you can shake an artificial stick at. And Colin Farrell is not Arnold Schwarzenegger. Subtle Swedish horror and love story Let The Right One In took the world by surprise in 2008 and won a raft of international cinema awards. But, being in Swedish, it was unlikely to be seen by the American market, so cue an English language remake that stood on it’s own two feet, but just seemed a bit unnecessary, so soon after the great original. Much the same could be said of The Girl With the Dragon Tattoo trilogy. During the nineties, Japanese cinema was going through a golden-period of making deeply scary horror films. Ring is one of the best known, featuring a video tape that seems to lead to death within seven days of seeing it for the viewer. Gore Verbinski’s 2002 version, starring Naomi Watts just wasn’t as scary, by a long shot. Literally nothing about the 2005 remake is as good as the original. Gene Wilder’s Willy Wonka beats Johnny Depp’s creepy manchild version hands down. The set design on the original beats the set design/CGI mashup of the remake. And the Oompa Loompas were much better the first time round too. Although, the Tim Burton remake did have a small part for Christopher Lee, so it can have a point for that. Oh Vince Vaughan, William H. Macy and Julianne Moore why did you say yes to this? A shot for shot remake of the Alfred Hitchcock classic, that even uses the same Bernard Hermann musical score must have seemed like a bad idea to someone? A slap on the wrists to all involved, especially director Gus Van Sant. It hardly seemed like the dust had settled on the Tobey Maguire Spiderman trilogy before Marvel announced this franchise reboot, but now in 3-D, with British actor Andrew Garfield as Spidey. It has far from wowed critics so far, but is no doubt making enough cash to fill Scrooge McDuck’s money vault a few times over, so the producers will feel it’s a job well done.